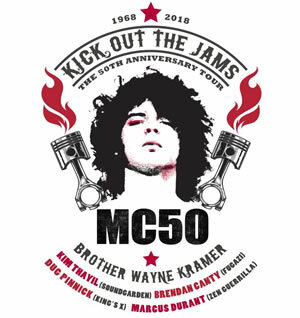 Today Wayne Kramer of MC5 announced that he and some guests are going on tour in support of the 50th Anniversary of Kick Out The Jams. Pitchfork reports the “Kick Out the Jams: The 50th Anniversary Tour” will feature festival dates in Europe and some headlining dates across North America. 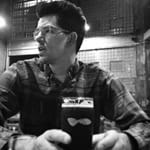 Kramer will be joined by Kim Thayil of Soundgarden, Brendan Canty of Fugazi, Dug Pinnick of King’s X, and Marcus Durant of Zen Guerrilla. The only actual date we know for sure is the Fillmore Detroit show that will wrap the tour on October 27th. Tickets for the show are $25, $35, $59.50 and $75 and go on sale at 10 a.m. Friday. Pre-sale tickets (password: ENCORE) go on sale at 10 a.m. Thursday. Finally, Wayne Kramer will be releasing his memoir, “The Hard Stuff: Dope, Crime, the MC5, and My Life of Impossibilities,” on August 14. As more dates get announced expect to see them here.